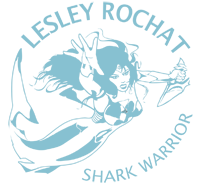 Lesley Rochat, also known as the Shark Warrior because of her passionate efforts in shark conservation, is a graduate of the University of Cape Town, followed by a high profile career as a professional actress, TV presenter and model. Her history in marine and shark conservation goes back over a decade when given her growing concern for the marine environment, and after diversifying into the corporate world, she packed up a successful career and founded AfriOceans Conservation Alliance, a non-profit organization based in Cape Town, South Africa. AfriOceans achieved major success through a unique shark conservation programme designed by Lesley that involved the satellite tagging and releasing of captive sharks. Under Lesley’s leadership, AfriOceans continues to successfully drive education, awareness and lobbying initiatives. This award-winning documentary filmmaker is also the CEO of Blue Pulse Pictures, a production company owned by her. She has produced and directed numerous documentaries, including her multi-award winning documentary, Sharks in Deep Trouble, and the Panda Award winning Save Our Sharks short awareness video. An avid diver and a PADI Dive Master with over 1000 dives, she is a well-published travel and environmental journalist and award-winning photographer. She is the author of several children’s books and educational books, and the creative director of countless educational and awareness initiatives. Her other major success is her work as a campaigner, in particular her Get Hooked on Conservation Ban Drumlines campaign, and her Panda Award winning Rethink the shark campaign. As a social entrepreneur, Lesley established Shark Warrior Adventures, a responsible tourism business and self-funding initiative of the AfriOceans, which aims to reconnect people to Nature. 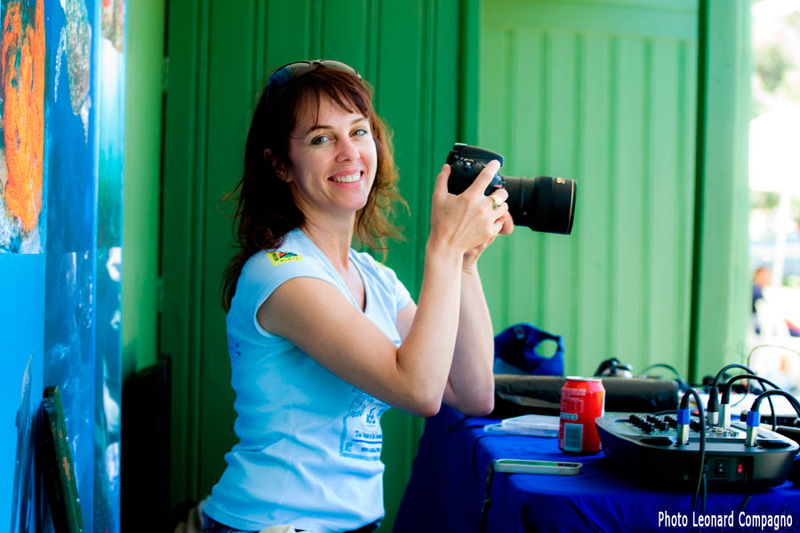 Through Shark Warrior Adventures, Lesley leads underwater photography courses, dive expeditions worldwide, leadership courses for the youth, photographic tours, and her popular Wildlife Conservation Photojournalism Internship program. In 2016, Shark Warrior Adventures opened a Shark Warrior Adventures Centre, a beach front watersports adventure centre and registered PADI Recreational Centre, offering ocean adventures above and below the waves, and courses in Skin Diving and an introduction to Freediving. At the heart of all the extraordinary adventures is a commitment to caring for the natural environment and all its wildlife, and to the economic and social empowerment of its people. Profits go directly back into the AfriOceans conservation, and environmental education projects. As an activist Lesley has earned a respected reputation for her efforts in lobbying for the conservation and protection of South Africa’s sharks. Lesley is considered an important role player in marine and shark conservation and her efforts are recognized worldwide resulting in an international following and many invites to public speak. Her accolades include being an inductee of the Women Divers Hall of Fame, among others, see below.